Racheli: I found myself asking, ‘What is the future of the Hasidic community in the state of Israel?’ The tension between the nature of the Hasidic community—very separatist because it wants to preserve its beliefs and its communal way of life—and the need to become part of modern Israeli society is getting bigger every year. I was raised in this community. I want to preserve its traditions and its charm. But I also feel like an agent of change because I see that, despite its beauty, we have a long way to go as a community in order to reach ‘a golden path.’ The biggest drive I have stems from being a Hasidic woman in a community that gives women limited options and an almost impossible lifestyle. Mothers have seven children, on average. But they are also the only providers while earning only about half the salary that secular women earn. In addition, they are not permitted to hold public positions so they can’t advocate for their own rights. Racheli: I was born to a Hasidic family in the heart of secular Tel Aviv. The extreme difference between my home life and what was going on outside my home made me who I am today. I am Hasidic, but also very much Israeli. 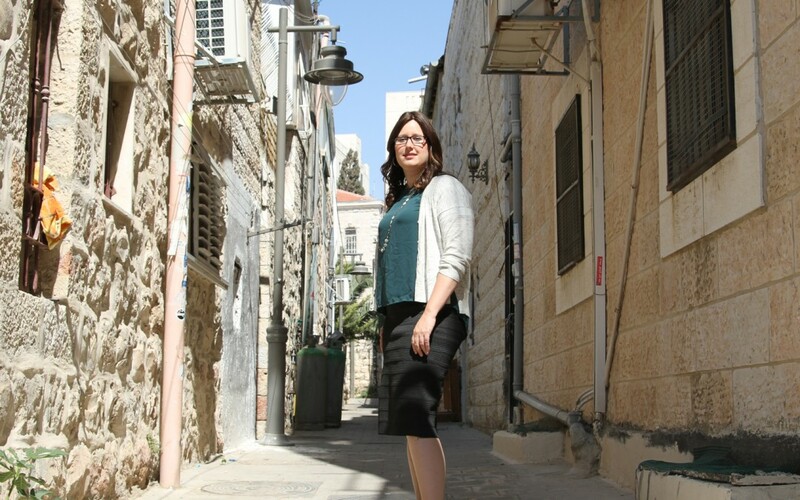 Today I live in the 100 Gates neighborhood in Jerusalem, the most segregated Hasidic community in Israel. Two minutes from my home is a big sign that says ‘Welcome to Palestine.’ Some of the residents of my neighborhood who belong to the Neturei Karta, have put it up. Every Independence Day, they burn an Israeli flag right below my window. My neighbor is sixty years old and she only speaks Yiddish. Every Saturday, people protest and criticize the Hasidic men who serve in the Israeli army. They insult them for being traitors. This is where I start my daily routine, and this is also where I also get my drive from: living in this reality prevents me from sticking my head in the sand and pretending it doesn’t exist. The state of Israel is one of the things that are most dear to me. I am an Israeli and a Zionist. This is my identity. I believe that our little country is already over-challenged in so many fronts – it’s like a little ship on a stormy ocean. The Hasidic community is one cabin in the ship; if there is one hole, the whole ship can drown, therefore what happens within this sector is very important not only the sector itself but also to the state of Israel. Racheli: The most significant battle I have been fighting so far was the battle to create my movement, Lo Nivcharot, Lo Bocharot (Can’t be Elected, Don’t Elect). I and four other Hasidic women approached the Hasidic parties and asked them to include women in their lists to the Knesset. When we were refused, a huge wave of people started to support us, men included, and our party was formed. We didn’t win enough votes to sit in the Knesset, and today there is still no Hasidic women in the Knesset, but the Hasidic leadership is realizing now that the wind of change are blowing. Racheli: My biggest dream is to see an Israeli society that is diverse in ethnicities and religion and to see each community in this society respect the traditions and faiths of the others. I also dream of hearing a dialogue about how we can make society as a whole better instead of a dialogue of insults and hate that we so often hear these days and that makes us all weaker.